5 young people died in a house fire in New York City Sunday afternoon. 2 year old Chayce Lipford, 10 year old Rashawn Matthews, 16 year old Jada Foxworth, 17 year old Melody Edwards and 20 year old Destiny Dones all died in a fire that broke out in a house located on 208th Street in Queens village, Sunday afternoon around 2:30 pm. 911 received a call at 2:36 from someone who was driving in front of the house and saw flames coming out of the 1st floor window. The firefighters only took 4 minutes to arrive but by that time the house was already completely consumed by fire. The only survivor is 46 year old Maurice Matthews, father of Rashawn Matthews. He jumped from a second floor window. According to CBS New York, the victims may have been trapped in the attic of the house. The house had no working smoke detectors. The investigation about the exact cause of the accident is still ongoing. Following the tragic accident, the FDNY fire Safety Education Unit founded by the FDNY Foundation and the New York Red cross set up a stand in Queens Village to teach community residents about the importance of having smoke detectors in their house. They also installed smoke detectors in houses that didn’t have any. According to statistics from the FDNY, the installation of smoke detectors cut the risk of dying in a fire accident by 50%. In houses that have several floors it is necessary that smoke detectors be installed on each floor including the basement. Each room should be equipped with a smoke detector and one should be near the sleeping area. Carbon monoxide detectors should also be installed. Many of the detectors available on the market combine both smoke and carbon monoxide alarms. 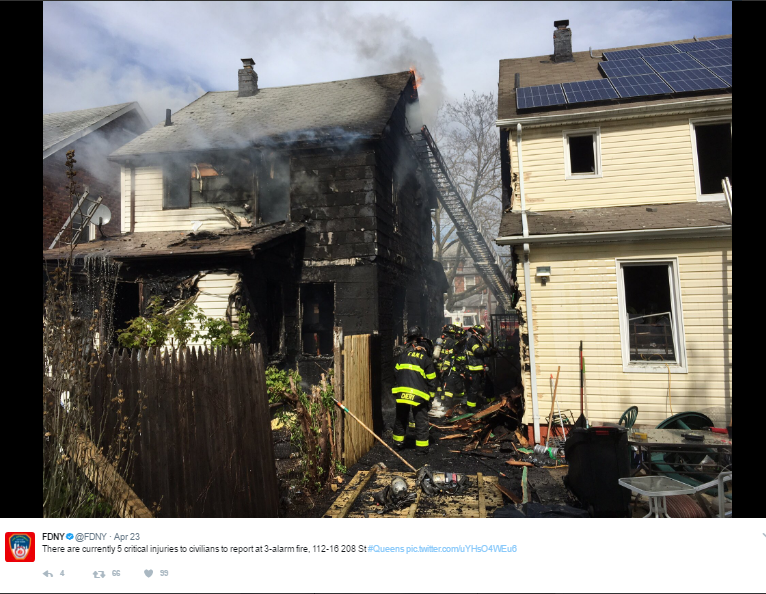 The FDNY also recommend to use alarms with sealed 10-year batteries rather than alarm with removable batteries. Those using removable battery alarms should change the batteries twice a year. It is a good idea to do it when you change the time on your clock in the spring and fall. 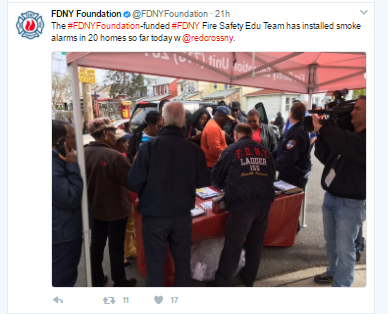 Additionally the FDNY fire Safety Education Unit recommends that families plan ahead as to what to do in case of a fire.